Double the Amount of Clothes in Your First Month of Five Four Club! Now through 6/7, use coupon code CHILLNGRILL to get twice the amount of clothing ($240 value) on your first month of Five Four Club (monthly membership fee is $60). Check out our Five Four Club reviews to learn more about this men’s clothing subscription! This offer applies to new Five Four Club members residing in the U.S. only and is valid until 06/07/2017 11:59 PM PST. AK/CA/HI members will be charged applicable tax and/or additional shipping fees. Members must opt-in to the Five Four Club membership program in order to redeem the offer. Offers cannot be combined with any other offer, promotion, coupon, or discount. Offer cannot be applied to any previous order. Gift cards cannot be applied to offer. Terms are subject to change at any time without notice. All offers and discounts will be taken from original store pricing. Please note by enrolling into the membership program, you are agreeing to pay and authorize Five Four Club to automatically charge your credit card a monthly membership fee of $60.00 on the 15th of each month until you pause or cancel. All membership fee charges are non-refundable. We will save your credit card information for use on all future purchases. If you wish to pause your monthly membership, you must contact us via online chat, email, or phone (888.341.2381) during business hours Monday through Friday between 9:00 am – 5:00 pm PST, on or before the 10th day of each month in order to not be charged for that month. How do subscribers rate Five Four Club? Do you subscribe to Five Four Club? Add your rating now! Today Only! CAUSEBOX Deal – FREE Ever Eco Zero Waste Duo! Le Tote Coupon – 20% Off Your First Two Months! Book of the Month Deal – $10 Off Gift Subscription + Free Book! Super Chewer Coupon – First Box for $9! 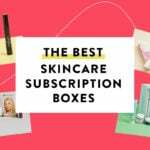 Birchbox Sale – 20% Off The Mother’s Day Shop! "Me 3..... up for swap it goes.......... :)"
"Liz should model nail polish she has pretty hands and nails"
"I got same confirmation email , estimated ship date by 5/6. I hope comes through (crossing fingers)."